About Brown & Crebbin Design Studio, Inc.
we are dedicated to serving the long-term interests of our clients. 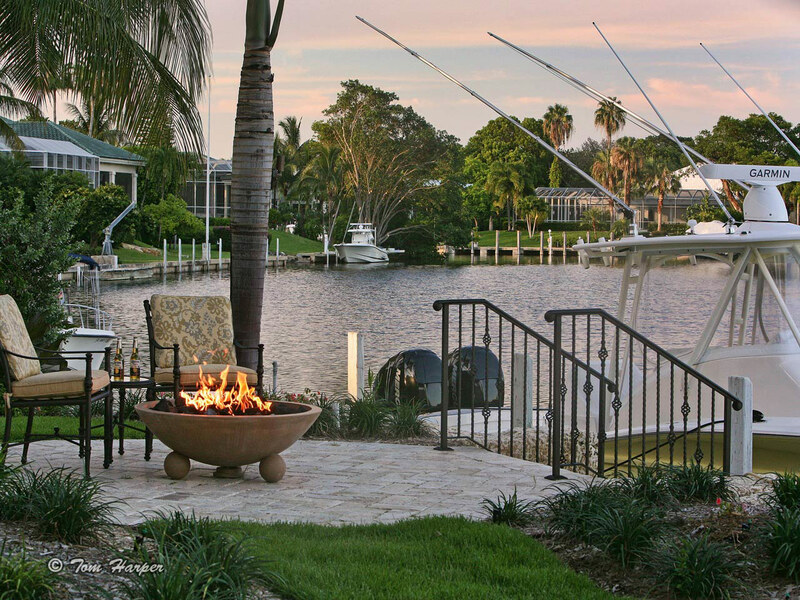 Brown & Crebbin Design Studio, Inc, is an Award-winning Florida Registered Landscape Architectural Company with over 15 years of design experience in South Florida, the Florida Keys and the Caribbean, dedicated to serving the long-term interests of its clients. We provide our clients with the most professional, friendly, attentive, and artistically creative services available in the area. We take a progressive approach to garden design and landscape architecture. This allows us to develop a plan that incorporates the client's "style" and personal tastes, as well as the architecture and conditions of the property along with current design trends and methodologies into the overall design. Our philosophy is simply this, "We creatively address every aspect of garden design and landscape architecture, tempering our inspirations from the site and its possibilities with the desires of the client. The result is an honest, hands-on approach motivated by an uncompromising dedication to client satisfaction." Our expertise, creativity, qualifications and commitment to client satisfaction are unprecedented and unparalleled. Brown & Crebbin Design Studio looks forward to making you a part of the happy family we consider all of our clients. The firm's contacts with County and City building officials, State environmental agencies and contractors of all types, enable us to take your project from the initial permitting stage to the final implementation of the piece of sod. 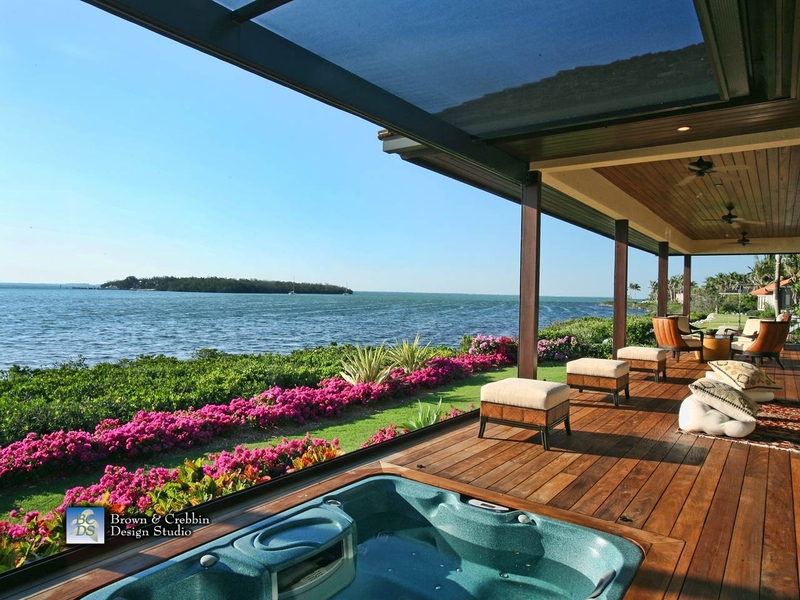 The firm is strongly committed to the highest quality residential and commercial/resort projects, including master plans for landscape, irrigation, landscape lighting, mitigation and environmental restoration as well as hardscape design such as, swimming pools, waterfall, decks, walls, gates and gazebos. We can address other relative responsibilities such as environmental permitting and consulting, vegetation surveys, stormwater management and mangrove trimming as a part of an overall package for a property. We apply xeriscape principles to all of our projects. We then suggest we competitively bid the plan to any one of the many qualified contractors on our bid list. Since the plan specifically calls out all of the necessary sizes and descriptions of the materials needed to implement the design, the contractors know exactly what to include within his/her bids, thus, allowing you to compare "apples to apples." The result is a truly comparative set of bids to perform the work, based on our interpretation of your desires. Competitive bidding usually results in substantial savings to the owner, often in excess of our design fees, due to the highly competitive nature of the market. As an additional service to you, we can also oversee the installation of your project to ensure compliance with the plan, specifications and its objectives. If necessary, we will also act as the owners' agent in all communications with the contractors, freeing the owner from any worries, as well as coordinate the contractors so that the project runs smoothly. This service results in the timely execution and the highest possible quality of the finished product and, in turn, the complete satisfaction of the owner. By using this master plan approach you are ensured that all of the program elements will flow together as one cohesive unit. These items are then incorporated into a series of documents, including drawings and specifications that are developed based on the level of service the client desires. This allows us to customize our level of service and, thus, our fees to the needs of the owner. When you consider the artistic and creative aspect of designing a landscape, it is important to examine the prior work and qualifications of the designer. It is important to evaluate whether the designer is capable in developing the "style" of landscape you desire. We feel the landscaping of any project is a long term investment that benefits from a good working relationship between the owner and ourselves. Due to this, as well as the fact landscapes in the subtropics are in a constant state of growth and change, we firmly believe in developing long-term working relationships with our clients and look forward to doing so with yourselves. We are very proud of the quality work and relationships we have developed and our ability to present past projects when needed. You will find that our expertise, creativity, qualifications and commitment to client satisfaction are unprecedented and unparalleled. We would be happy to provide to you, at no obligation, a written proposal of our services. Brown & Crebbin Design Studio, Inc. looks forward to making you a part of the happy family we consider all of our clients.